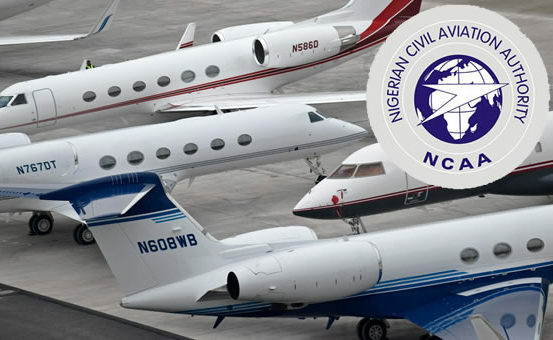 The National Union of Air Transport Employees and the Air Transport Services Senior Staff Association of Nigeria have threatened to down tools by January 2, if the demand for promotion of their members in the Nigerian Civil Aviation Authority is not met. The unions, on Sunday, said the NCAA had been taking them for granted over the welfare of their members. The Chairman, Joint Action Committee, NCAA and Chairman of NUATE, NCAA branch, Lucky Izebhokun, said the system in the agency had discouraged workers who would come out to protest on the said date. According to him, the management has relegated the staff of NCAA so much so that they will be employing and transferring people from other organisations to head some senior staff in the agency. He said, “We have had issues with people being transferred from the Nigerian Airspace Management Agency especially, because there is no promotion in NCAA, and you will see them bossing the people in NCAA, we have told the management that we can no longer accept that. Izebhokun stated that if the union failed to curtail the excesses of the agency, it would spread. The Chairman of ATSSSAN, NCAA branch, Ayodele Sofolayan, stated that the issue of promotion in the agency had already generated a lot of anxiety among its workers. He added, “We have been on this issue for the past year and we have not seen any good result. We have given the management of the NCAA an ultimatum to either get this promotion done or we declare a state of emergency. The General Manager, Public Relations, NCAA, Sam Adurugboye, said the agency and the union would reach a compromise, adding that the NCAA had been known for industrial harmony.